processes, similar to how fat from food is eliminated. handles (flanks), and back fat. weeks after only one treatment however, some may need other sessions to get the right results that they want. A dermatologist will be able to speak with you on a proper treatment plan to help give you the right results due to your skin type and muscle mass. 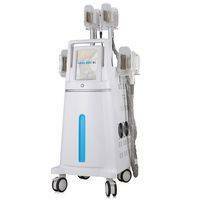 The suction and cooling heads (independently controlled) are placed on the areas to be treated. The Fat Freezing cooling heads create a vacuum that temporarily decreases blood flow to the treated area, immobilising the fat tissue, and isolating the treated area from surrounding tissue. 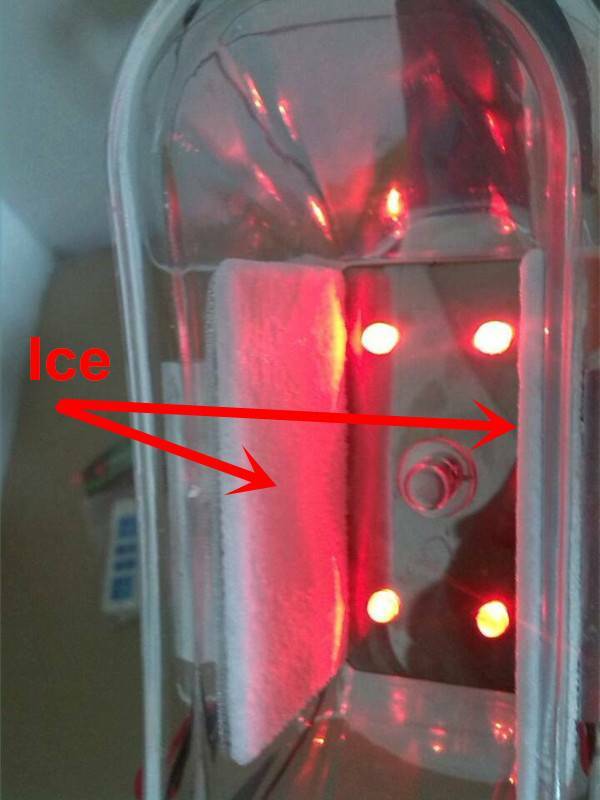 LED lasers are protecting the surface of the skin during the cooling period. Low temperature (-10° C to -5° C) is then applied to the area in a controlled heat extraction process. During the 30 to 50 minute long cooling procedure (depending on the area treated) the fat cells crystallise and after melting the cell membranes break down releasing the lipids into the lymphatic system. The lipids are then eliminated by the patient's natural metabolism. The process is safe and no damage is caused to the skin or other surrounding tissues. 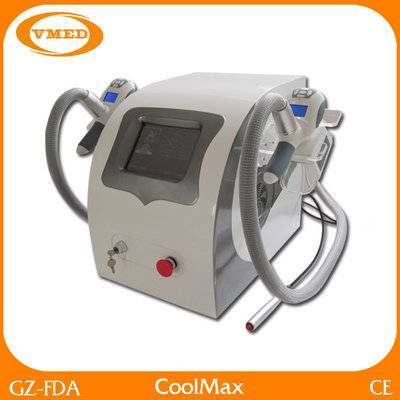 Only The subcutaneous fat cells, which are very sensitive to low temperatures are destroyed in the treatment. After completing the Fat Freezing treatment a two to three month long natural dissolution and evacuation process begins creating a natural end result. 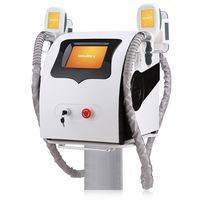 About 25 - 28% of the fat cells in the treated area will be destroyed in one Fat Freezing session. Fat Freezing treatment results can be enhanced by using Lipolaser and strong low frequency Cavitation in the beginning and the end of each session, which helps by increasing the breakage of the fat cells, lymph drainage and enhancing both tightness and elasticity of the skin. There is no anesthesia or recovery time needed. After the treatment, clients may return straight to their normal activities - no downtime. Fat cells are more sensitive to low temperatures than surrounding tissues. 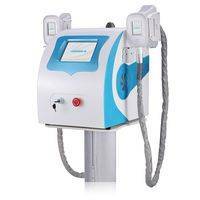 This makes it possible to crystallise (freeze) these unwanted cells in dedicated areas by using cryolipolysis technology. When these fat cells melt they go to apoptosis (cell death) which causes the fat inside these dead and broken cells to release the lipids inside them. The lipids are then either converted by liver into blood sugar - reducing cravings and overall appetite - or removed from the body via normal metabolism. Since this is a slow, gradual process the released lipids do not create stress on liver or other normal bodily functions. The destroyed fat cells do not regenerate, which helps to maintain the achieved results. Most clients experience a clear weakening of appetite after the treatments, which can last for several weeks, thus assisting in making a permanent change in eating habits and maintaining the final result. After fat cells are exposed to sub zero temperatures for a prolonged period of time, they crystallise like shown in the picture on the left. Fat cells are very sensitive to low temperatures, wherefore they can be destroyed in a controlled process without any harm to surrounding muscle tissue or blood vessels. 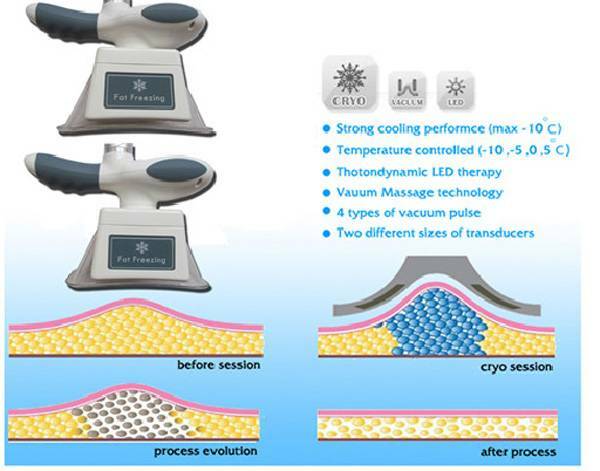 The Fat Freezing Cryohandle uses vacuum to pull the skin and subcutaneous fat tissue into the treatment applicator, where the treated area is subjected to sub zero Celcius temperatures - low enough to start the crystallisation of the unwanted fat cells. This prolonged exposure causes apoptosis of the fat cells, causing their structure to "collapse" which releases the smaller fat particles - the lipids - into normal metabolic circulation. The liver converts most of the released lipids into blood sugar which decreases the appetite and at the same time reduces the fat content of the body. Because the slow and gradual dissolving of the fat cells, the skin can usually keep up easier with the shrinkage and the end result is more natural than with traditional invasive methods of fat removal.